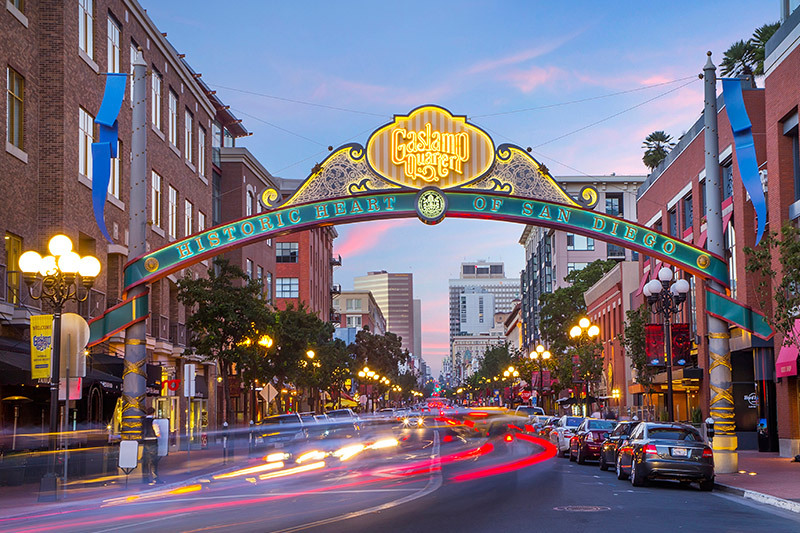 Stroll the vibrant streets of San Diego's Gaslamp district and immerse yourself in the city's culture and history. The heart of San Diego's nightlife scene, the Gaslamp Quarter features trendy restaurants, theaters, art galleries, museums and concert venues. Serenade your senses with an eclectic mix of Victorian architecture and ambiance. Shop at the many boutiques that line this dynamic and cosmopolitan district, or browse the multi-level outdoor mall, Horton Plaza. Dine on diverse cuisine at incredible restaurants and rooftop bars, including Monkey Paw Brewery. Drink and dance in celebrated nightclubs, and enjoy live theater performances. It's all here waiting. Vary by venue and attraction. What are the best restaurants in the Gaslamp Quarter? Progressive American cuisine waits to be discovered at Parq. Sevilla Restaurant delivers authentic tapas and Spanish cuisine. Modern coastal cuisine is always on the menu at Lionfish. You can also take your pick from steakhouses, seafood, Italian, sushi, pizza and pub fare, plus late night snacks and relaxing cafés. Are there guided tours of the Gaslamp Quarter? Exploring on your own is fun. But when you want to get the inside skinny on the Gaslamp Quarter, go ahead and join one of the guided tours. Knowledgeable guides will introduce you to insider knowledge about the history and workings of this historic district. Both Flagship Cruises and So Diego Tours offer land- and water-based tours.